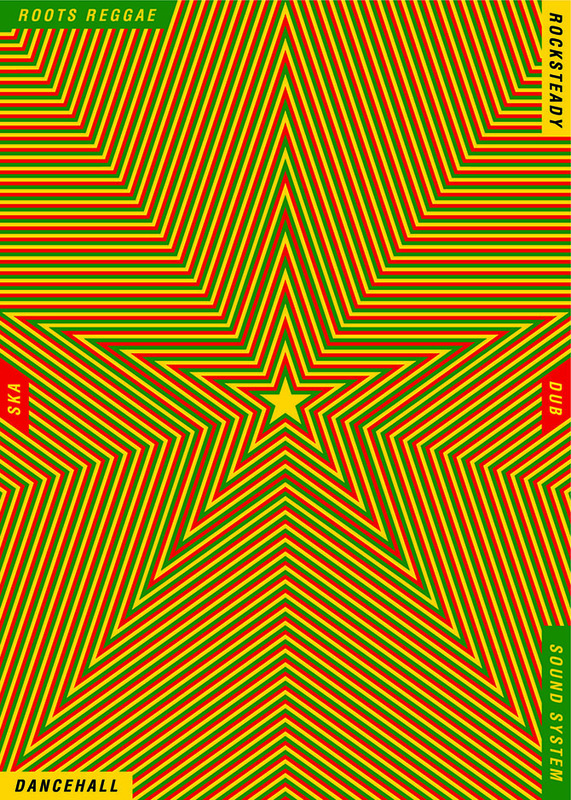 An exhibit featuring a selection of the 2012 First International Reggae Poster Contest’s winning posters opens at the National Gallery of Jamaica on Sept 30, 2012 unveiling an ambitious agenda to build a Frank Gehry-designed building on the Kingston Waterfront to showcase Jamaica’s globally renowned music. 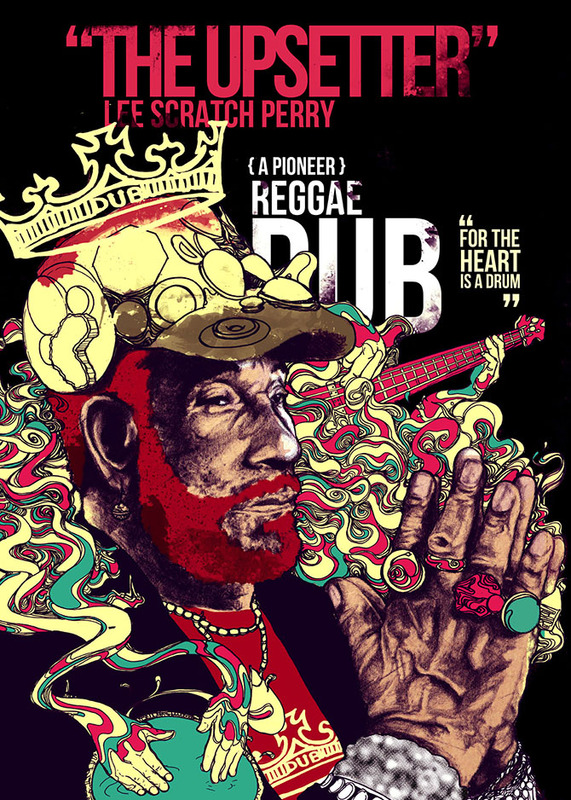 Taj Francis, a Jamaican designer, came fifth in the the 2012 First International Reggae Poster Contest with the poster directly above, depicting Lee Scratch Perry. Like Bourbon Street in New Orleans, Beale Street in Memphis, 42nd Street in New York or Music Row in Nashville, Orange Street in Kingston, Jamaica is the prototypical ‘Music Street’. As indicated by its unofficial name, Beat Street, the area around Orange Street in central Kingston had been a centre for sound system activity since the 1950s. By the 1960s Orange Street itself was the subject of numerous songs – the great Prince Buster’s “Shaking Up Orange Street” being merely the most famous [and versioned]. Many producers rented shops in and around Orange Street, including Bunny Lee at number 101, Sir JJ Johnson at number 133, and perhaps most celebrated, Prince Buster’s legendary Record Shack at number 127. Sonia Pottinger’s pressing plant was also in Orange Street, at the bottom; just around the corner was Randy’s Studio, above the shop on North Parade. The area continued as a centre for music into the seventies and beyond, although on a much smaller scale. Prince Buster still operates his shop there, as does Augustus Pablo. Producer Trevor ‘Leggo’ Douglas was one who came to Music Street in the late seventies, opening Cash & Carry Records at 125 Orange Street, just down the street from Prince Buster; like Buster, he’s still there today, running his own studio. Right next door to the Prince was the address that gives title to this compilation; Dudley ‘Manzie’ Swaby and his then-partner in music the late Leroy ‘Bunny’ Hollett moved into premises on the music street late in 1975, having previously operated from Manzie’s family home in Love Lane nearby. From the House of Music at 129 Beat Street they issued a series of recordings – both in roots style and love songs – that have easily stood the test of time. Most of this music has never been issued outside of Jamaica; this compilation is hopefully the first of several to chronicle Manzie Swaby’s underground roots legacy. 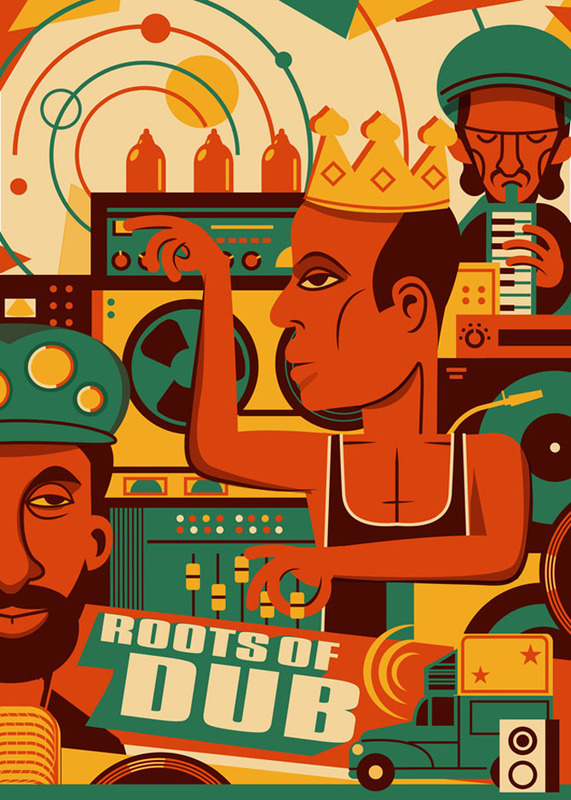 The 2012 First International Reggae Poster Contest (RPC) began in December 27, 2011 with the goal of discovering fresh Reggae Poster designs from around the world. Interest in the contest grew significantly over the 4-month run with a total of 1,142 submissions from 80 countries. The contest winners were chosen from 370 finalists by a distinguished panel of judges known for their creativity and commitment to design. Please note that the top 3 winners are all from outside the Caribbean, a sign that local designers faced stiff competition from abroad. The contest also highlights the extraordinary reach of Jamaican music and popular culture, so inadequately honoured at home. Well Michael Thompson aims to change all that (for an interview with him on Jamaican TV go here). Along with Carolyn Cooper and others he’s all set to lobby for a world-class museum facility to be built on the Kingston Waterfront designed by none other than Frank Gehry, the architect who built the Bilbao Museum and so many other world-renowned art facilities. If he can find enough investors with the vision to see how this would add value to Jamaica’s rather limited tourism product–which does little more than capitalize on the country’s sun, sand and sea–the project could get on its feet. Some may think this is an absurdly grand project but to do justice to Jamaica’s music you do have to reach for the stars. 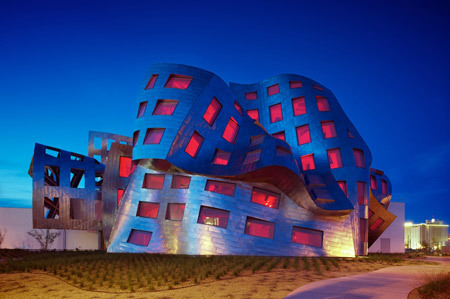 I mean can you imagine how fabulous something like the building below would look squatting on the Kingston Waterfront? It could spearhead the long overdue revival of downtown Kingston. So what’re we waiting for? Let’s do it! 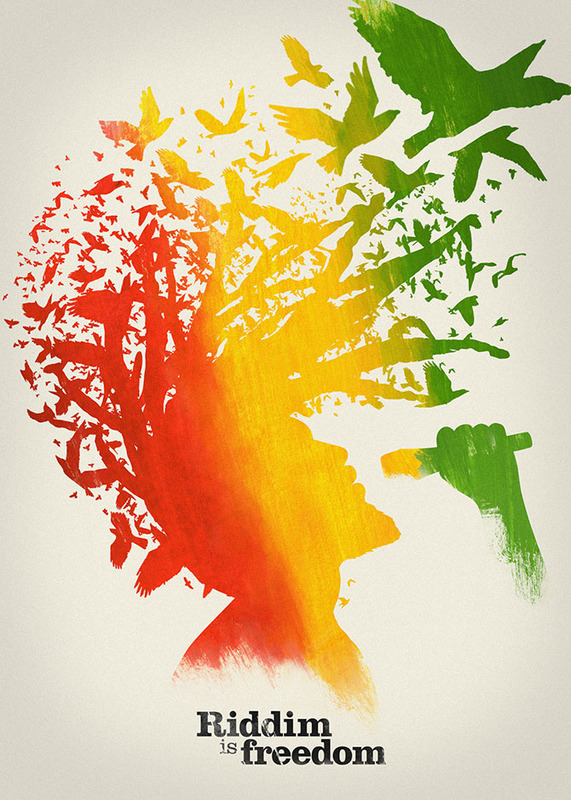 World-a-Reggae, the exhibit of the 100 best entries opens tomorrow at the National Gallery of Jamaica at 11 am. The winning designer, Alon Braier, from Israel, will be there. Carolyn Cooper will be the guest speaker and the best part: The Alpha Boys Band will be performing all afternoon till 4 pm. So come on down! See you there! First came across this site via the OLPC project in Jamaica, since then I’ve bookmarked it and return occasionally. Glad to see this posting, and wondered if there are any realistic thoughts being considered about a reggae museum.